Listing all posts with label mammary cancer. Show all posts. 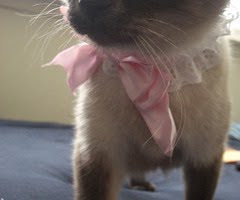 Breast Cancer -- in Cats? In addition to conjuring thoughts of Halloween, October has been deemed Breast Cancer Awareness Month for many years now. 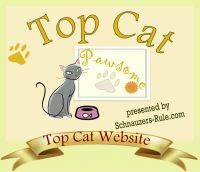 Why mention this on a blog about cats? Because people also belong to cats, and people sometimes need reminders! Cats aren't immune to breast cancer, either, although it's referred to as "mammary cancer" in pets.